AuttyW: Rimmel Apocalips FINALLY In The US?! Rimmel Apocalips FINALLY In The US?! Quick post, but I just saw on Nouveau Cheap's blog that the Rimmel Apocalips are FINALLY in the US! 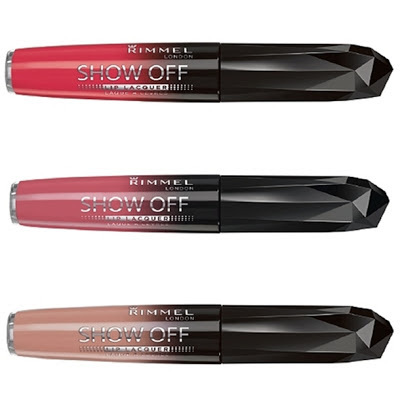 They're called Rimmel Show Off Lip Lacquer though, but it's the same packaging! Why they changed the name I don't know. However, I'm insanely excited. I've got one of them (Apocalips) and it's amazing! Rose did a fantastic job picking it out! I'm insanely happy that they are finally here, now I can get them all! There will be 14 shades in the US while the UK only has 8 of them. If you don't want to go searching the stores for them They are ALREADY available at drugstore.com and also Walgreens.com but from what I have seen most are sold out on Walgreens. Tis all! Hope you have an amazing night!